Just a few random pictures…. 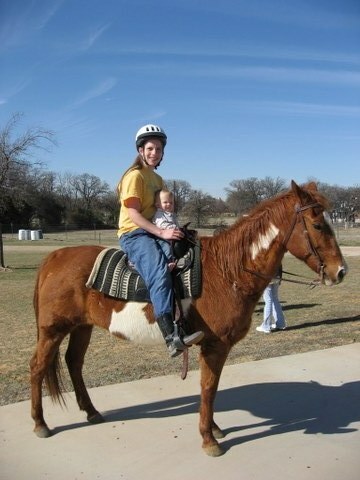 Lance had his first horse ride a few weeks ago, we walked around the yard while Lance hung on to the saddle horn. Mommy galloped around a bit after handing him back to Dad – what fun! 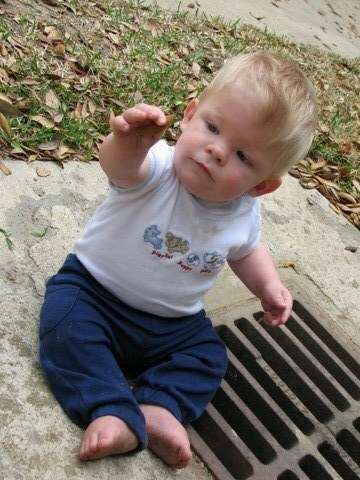 On another day Lance had a little play time outside and is showing me the leaf he found (which he then dropped into the drain). 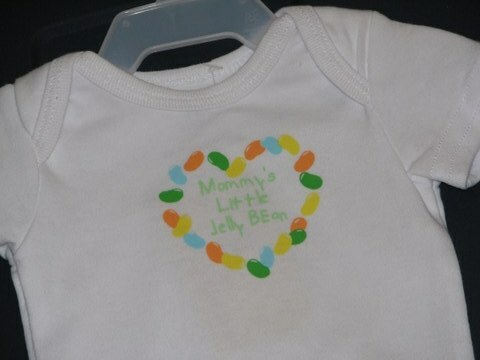 And finally, I had an impulse buy – this onsie says “Mommy’s little Jelly Bean” is that cute or what?